Siebein Acoustics provides acoustical consulting specializing in all acoustical areas, including theaters, concert halls, hospitals, churches and other environmental situations. Sense Technologies, INC. is a developer and marketer of reversing safety driver aids for the automotive industry. Located in Omaha, Nebraska, Central Acoustics provides consulting services in architectural acoustics and noise control. 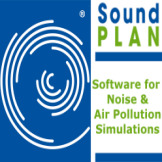 Supplier of transparent sound barriers for highway and rail noise. A world leader in crash-worthy soundwalls. Fa�ade Technology, LLC specializes in the design and construction of noise barriers and exterior building facades. Noise and vibration consulting firm in Ottawa, Canada. Manufacturer of Precast Noise Walls for commercial, residential and industrial applications. Provides sound analysis and mitigation. SPL also does sound level meter rentals. Members provide quite and durable paving materials with recycled tire rubber.